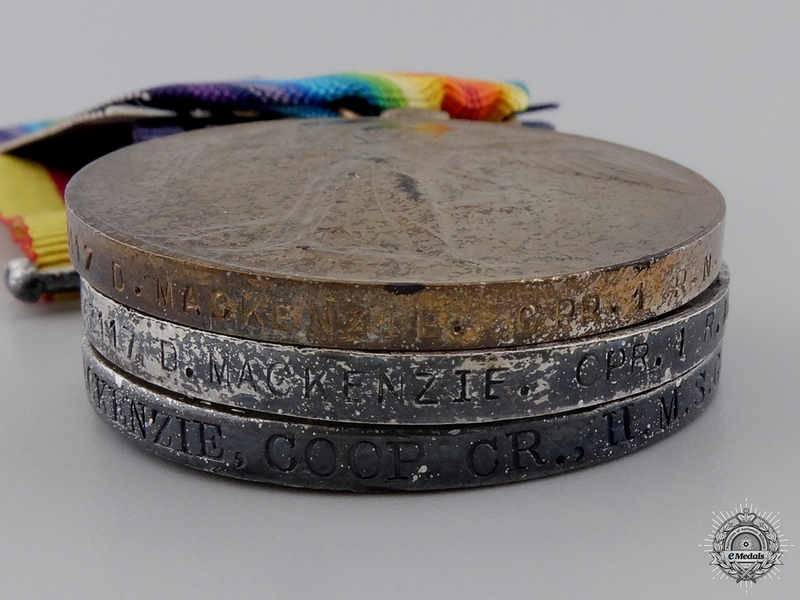 A Boxer Rebellion & First War Group to the Royal Navy - China War Medal 1900 (D. MACKENZIE, COOP. CR., H.M.S. GOLIATH. ); 1914-15 Star (343117, D. MACKENZIE, CPR. 2., R.N. 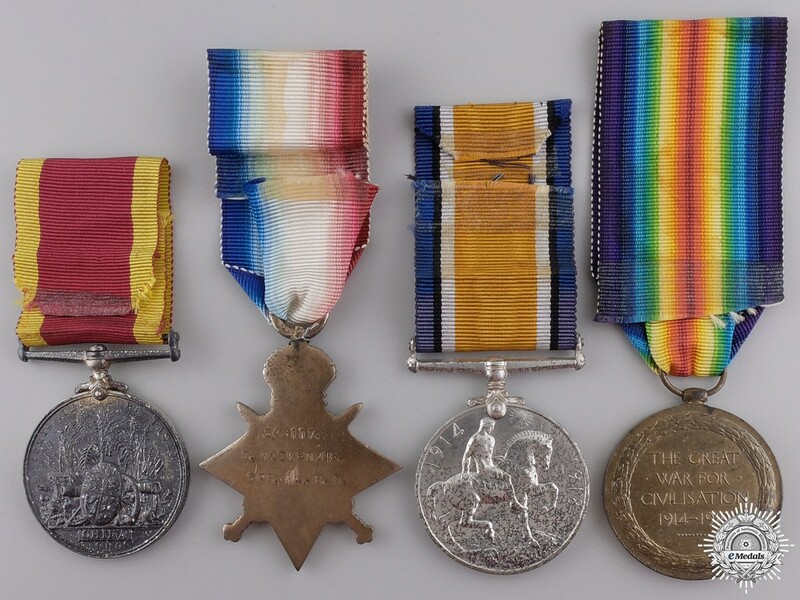 ); British War Medal (343117 D. MACKENZIE. CPR. 1 R.N. 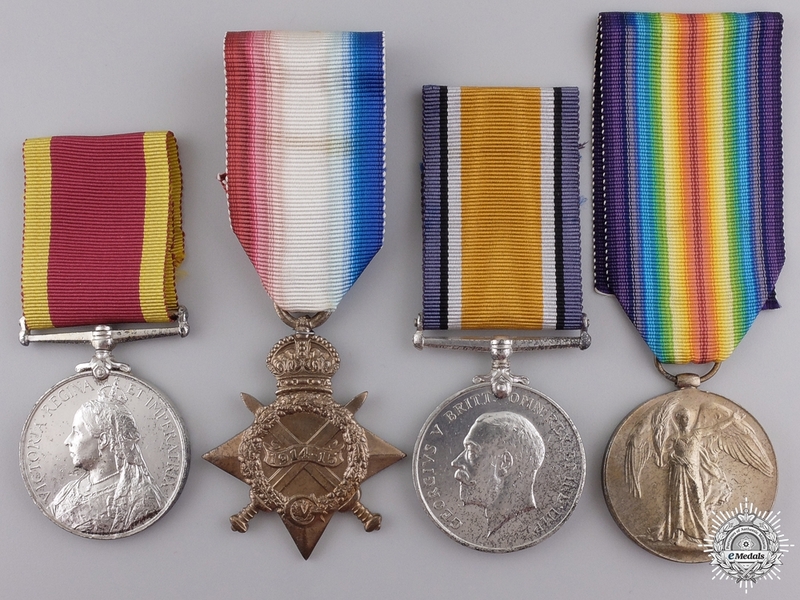 ); and Victory Medal (343117 D. MACKENZIE. CPR. 1 R.N.). Naming is officially impressed on all four medals. Polished obverse on the CM, WWI medals polished on both sides, number "2" scratched out and replaced with an overlaying number "1" on th Star, contact marks, near fine. Footnote: Cooper 1st Class, D. Mackenziebegan his naval career serving on board H.M.S. Goliath during the Boxer Rebellion of 1900 in China. He remained with the Royal Navy through 1914-1918, seeing active service during the Great War against the Central Powers.